Be the first to share your favorite memory, photo or story of Lynn. This memorial page is dedicated for family, friends and future generations to celebrate the life of their loved one. 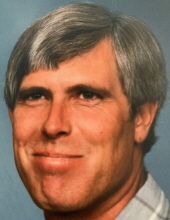 Lynn Edward Harper, age 65, died Monday, January 21, 2019 in Oklahoma City. He was born April 5, 1953 in Oklahoma City to Clarence Edward and Patsy Marie (Seay) Harper. He graduated high school from Weatherford, OK. He worked in the oil field and general construction. Lynn loved to hunt, fish, watch Nascar, NFL and college football. He was preceded in death by his father and brother Larry. Lynn is survived by his daughter; Misty Akromis and husband Erik, son; Jeremy Harper and wife Britney, seven grandchildren; Dakota, Trevor, Kailee, Ariel, Trenton, Hunter and Dallas. Also by his mother; Pat Harper and brother; Gary Harper and wife Mary and his trusted companion “Snoopy” . In lieu of flowers family has requested donations be made to help offset funeral cost. Memorial Service will be 2:00pm, Wednesday January 23, 2019 at McNeil’s Funeral Service, Mustang, Oklahoma. To send flowers or a remembrance gift to the family of Lynn Edward Harper, please visit our Tribute Store. "Email Address" would like to share the life celebration of Lynn Edward Harper. Click on the "link" to go to share a favorite memory or leave a condolence message for the family.